Scanlation by Amethyst Eyes Forum, Disclaimer: Not mine. Many Thanks to Amethyst eyes Team, for continuing the series. Once again, this month's chapter focuses more on Sayori and Aidou. Disclaimer: I do not own Vampire Knight nor Katekyo Hitman Reborn. 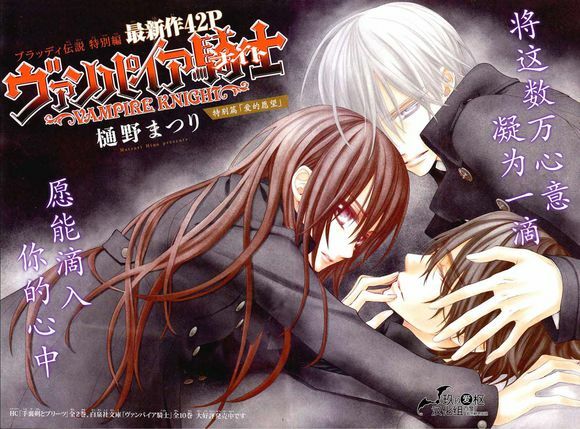 Summary: Vampire Knight x Katekyo Hitman Reborn Crossover. Things seem to be going well with Cross Academy's co-existence. However, when Tsunayoshi, the new pureblood, comes to school with his posse how will Kaname keep them under control? How will he keep his own vampires under control? IT'S HERE! 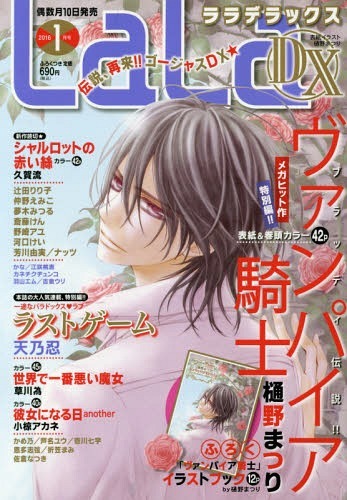 VK NEW CHAPTER! Some VK items for sale, including rare zen'in drama CD! I've missed this manga so much! So excited to be revisiting it! Disclaimer: Not mine, scanlation done by Amethyst Eyes Forum. I'm uploading for easier access to read the chapter for everyone. New VK Chapter RAWS & TRANSLATION! Hey guys! 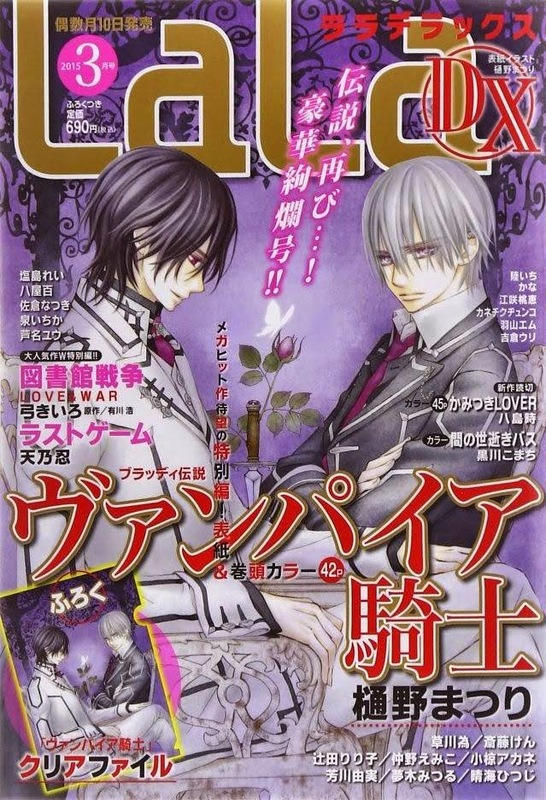 I saw the last post detailing the release of a new VK chapter in the LaLaDX magazine this month, so I searched Google, and came up with THIS!